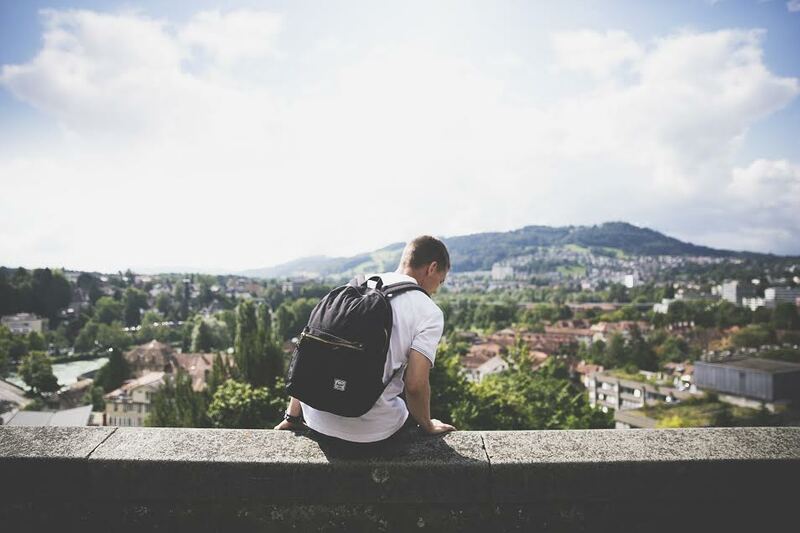 Traveling broadens the mind without a doubt, but if you’re traveling alone, you can learn even more about yourself and improve some skills that you need in order to achieve success in your career and personal life. Although some people claim that in order to travel, you need a bunch of money. This isn’t always true. There are ways you can travel the world on a tight budget. Traveling is life’s biggest lesson. The things you will learn while traveling can change your life. The fear of loneliness is the biggest fear most people have. Being alone, you’re in charge of your destiny. There is no relatives or friends to help you when you’re traveling alone, so you’re moving out of the comfort zone. It helps to gain experience and adapt to different environments. Moreover, pushing the boundaries of your comfort zone, you learn everything faster as it boosts your perception. If you have traveled at least once, you would agree that you have to plan many things in advance; book a flight and hotel, create a list of must-have visits, put aside some money, etc. If you’re traveling alone, you learn how to plan, and it helps to increase your planning skills. To achieve success in your career, it’s important to have strong planning skills as it’s a very productive way to get more things done without spending too much time on unimportant things. No matter what your destination is, you might have a limited budget to travel. To become a better traveler, you can learn how to manage your budget. First of all, download apps that help to track your spendings (Dollarbird, Mint, Wally, etc.). Plus, don’t forget to analyze them to manage your budget. Believe it or not, traveling alone you can save money. There is no temptation to waste money on fancy restaurants, expensive tourist excursions, or rent an overpriced hotel room. Create your budget, manage it, and learn how to use these skills in entrepreneurship. If you travel alone, you make decisions daily: where to go, what food to choose, how to spend the day, etc. You have nobody to consult with, and it’s you who chooses everything. The more you use this skill, the better it is. And if you can make decisions quickly, you can not only become more productive but learn how to take risks as well. When I first traveled overseas, I thought everyone would speak the English language. It was the biggest mistake I’ve ever made. It’s harsh but true: there are just a few of people who understand your English well. Especially when it comes to indie traveling. Even though you don’t know the language of the country where you’re going to, you can use your imagination to explain what do you want. Use gestures, drawings, or simple language to communicate with foreigners. Obviously, it develops creative thinking as you can find out how to express your mind. Nobody wants to be alone. Even if you don’t mind being on your own, and you like to spend time without a great company, most people need social communication. If you travel alone, it’s more likely you will meet new people while communicating with strangers. It’s a great way to establish new contacts and win friends. Just give it a try and you’ll be shocked by the number of friends you have all over the world. Everyone has fears. You face different problems while solo traveling, and it’s the best environment to learn how to solve them. If you know your fears, you can overcome them with ease. People get stronger when they fight against their fears, so don’t miss the chance to become a better person. Traveling is a good way to relax and enjoy your life with a benefit. If you give solo traveling a try, you can learn different things to achieve success, and you will never stop exploring the world. Andrew Howe is a young writer who is fond of languages, traveling, and the digital era. He puts self-development high on his list, so has created AdverbLess tool to help people strengthen the prose. Contact Andrew via email at andrewhowe306@gmail.com or follow him on Twitter. Yes, I have done some travelling alone. I visited my country, France, by hitchhiking on my own. I went to Spain twice on my own. I also went to many places on my own while living in England: Wales, the North-West, Cornwall and the Devon. But I am French, I am very fluent speaker of English, and can speak good Spanish, so the challenges were limited, really. My biggest challenge is living and working in China now. Although I am supported by my students and my university and I have a good bunch of colleague I can go out with, being in a foreign country of which language you hardly speak is a massive challenge. If you get lost, you have to rely solely on yourself. I spent two hours changing bus every 20 minutes to try to find my way back home after taking the wrong bus. I got out unharmed. And in fact it went really smoothly. I just decided that I would find my way back, full stop. That’s about it really. I have traveled alone for years and agree with everything you wrote. This year I traveled with a partner and wow, what a learning experience! Did I ever learn about myself, and not everything was positive! Not sure what I will do in the future.